Located in downtown Tallahassee, Camelot Park offers in town living at affordable prices. 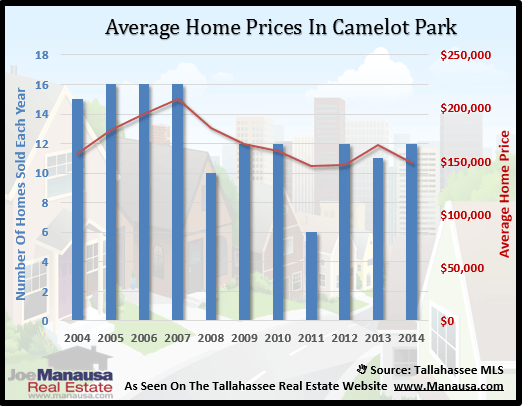 In this report, we will look at prices, values, and sizes of homes in Camelot Park, as well as show current listings in the Tallahassee MLS and all closed home sales going back to 2002. For all of the graphs found in this report, you will observe the number of closed home sales for each year (blue columns, measured on the left vertical axis), and an important real estate statistic shown in red (measured on the right vertical axis. It is important to note that sales are through December for all previous years, but through September in 2014. Home prices have given back all of the gains made last year, returning to near record lows established in 2011. 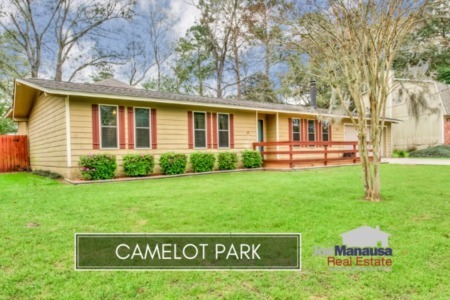 The average recorded sales price is $148,600 for Camelot Park. More importantly, the year has gotten off to a fast start, showing the potential for as many closings as occurred in any of the hottest years of the housing market bubble. Currently, with 12 closed home sales thus far in 2014, this year is already tied as the "best in the past 7 years." 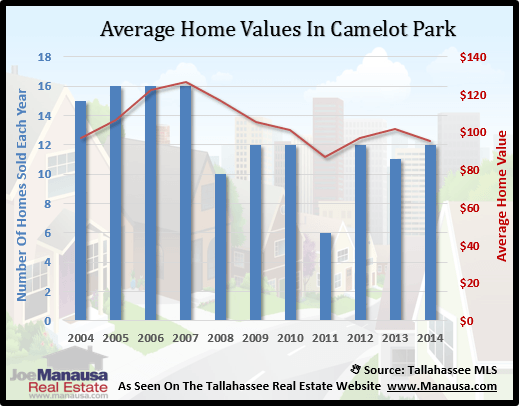 Average home values in Camelot Park have declined, but as greatly as have average home prices. 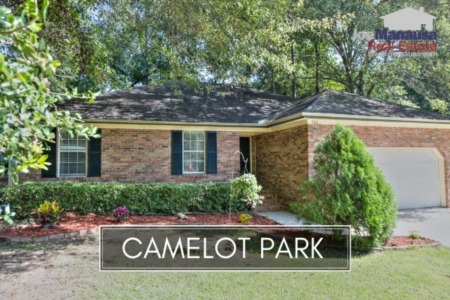 Through September, the average value of a home sold in Camelot Park this year has been $95 per square foot. 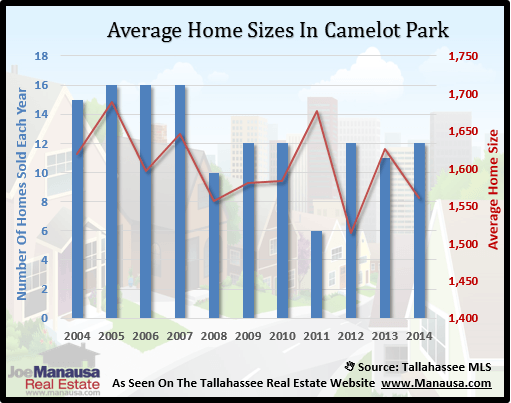 The average home size sold in Camelot Park typically falls in a range of 1,500 square feet to 1,700 square feet, and this year is not any different. The 12 sales thus far in 2014 have averaged 1,561 square feet. I hope you enjoyed our September 2014 update on home sales in Camelot Park, please feel free to drop me a note if you have questions not covered in this report.